Cook Islands Women in Maritime Association (CIWiMA), an association established in support of the Pacific Women in Maritime Association (PacWIMA), has held its inaugural general meeting in which the election of its first Executive Committee took place. 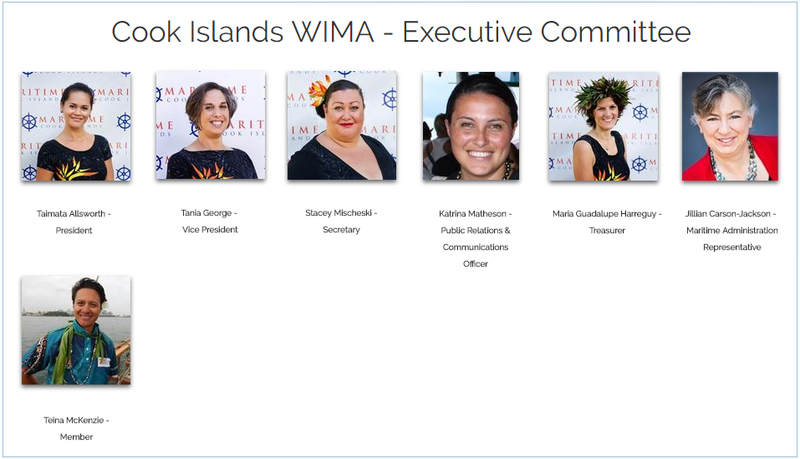 Following the relaunch of PacWIMA in 2016, the CIWiMA was formed in line with one of PacWIMA’s key objectives – to assist with the establishment of women in national maritime associations in the Pacific region. The newly-elected Executive Committee has been tasked to create awareness and promote the role of women in the maritime industry as important contributors to the economy. The International Maritime Organization (IMO) first initiated a systematic approach to the advancement of women in the maritime sector in 1988, by the designation of a focal point for women in development – done by improving women’s access to high-level training, fellowships and through the establishment of regional associations to promote the integration of women in the maritime sector. Economy and Employment (#2), Transport and Energy (#6), Education (#8), Gender and the Vulnerable (#9), Ocean, Lagoon and Marine Resources (#12), Culture (#14), Population (#15) and Good Governance, Law and Order (#16).